The Hong Kong Institute of Directors. 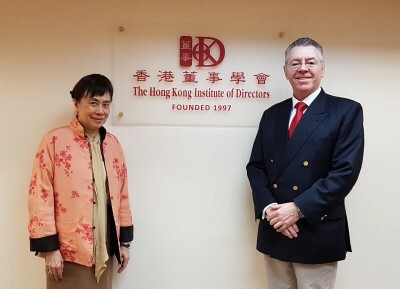 David Stringer-Lamarre, MD of FortisCL, within his role as Chairman of the Institute of Directors, London Region, was very pleased to meet with the CEO of the Hong Kong Institute of Directors, Dr Carlye Wai-Ling Tsui MBE. David and Dr Carlye exchanged information about their respective organisations, which are both members of the Global Network of Director Institutes.